Malinga has played three matches in this edition’s IPL. 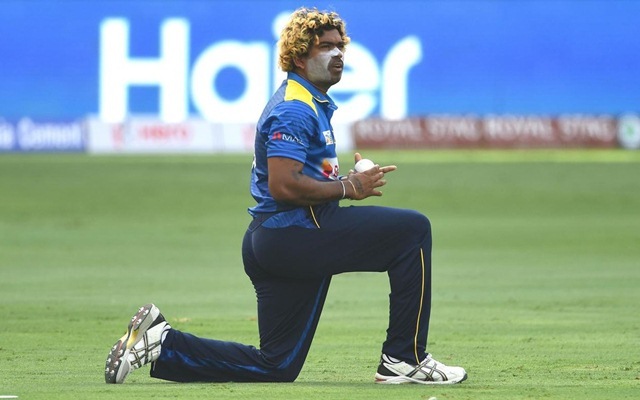 Over the last few days, there have been speculations surrounding Lasith Malinga’s participation in the Indian Premier League (IPL). A couple of days ago, it was learned that the veteran Sri Lankan cricketer would go back to his country in order to play the domestic One Day competition where he is representing Galle and picked up a seven-wicket haul against Kandy in Pallekele. Prior to that, he played three matches for the Mumbai Indians (MI) where he picked up three wickets in the game against the Chennai Super Kings (CSK) at the Wankhede Stadium in Mumbai. The Lankan went wicketless against the Royal Challengers Bangalore (RCB) and the Kings XI Punjab (KXIP). Meanwhile, after he left for Sri Lanka, talks of him not playing any more part in the IPL did the rounds. However, Suryakumar Yadav, the Mumbai-based franchise’s top-order batsmen, cleared the air over the matter and mentioned that the Galle-born speedster’s IPL 2019 campaign hasn’t come to a close just yet. The franchise shared a message on their official Twitter handle, quoting Suryakumar and the piece of news is expected to come as a morale-booster for the Men in Blue and Gold. Mumbai Indians (MI), the three-time champions of the Indian Premier League (IPL) have made a rather topsy-turvy start to this edition’s Indian Premier League (IPL). Rohit Sharma and Co started their campaign with a defeat against Delhi Capitals (DC) in Mumbai itself. Thereafter, they came back to thump the Royal Challengers Bangalore (RCB) at the M Chinnaswamy Stadium in Bangalore. Nevertheless, Rohit’s men slumped to a defeat against the Kings XI Punjab (KXIP) at the PCA Stadium in Mohali. In their previous encounter against the might of the Super Kings, MI emerged victorious and are currently placed in the sixth position of the points table. MI are next scheduled to play their next match against the Sunrisers Hyderabad (SRH) tomorrow at the RGI Stadium in Hyderabad.